"My blunt brain due to being deprived of sleep was instantly reset to sight-seeing mode after it hibernated for a while when I started seeing this wonderful view that temporarily locked my jaw." 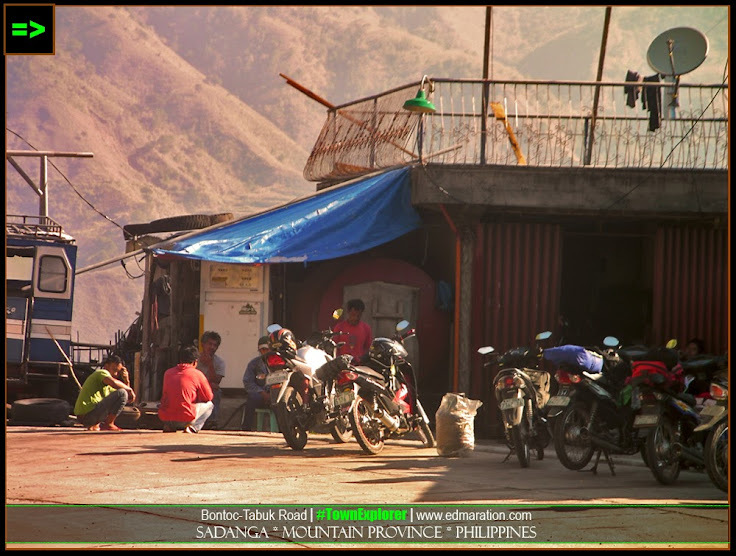 It took me 5 waking-up-at-night events, moderate to severe anxiety, 3 sleepless nights in my hotel in Bontoc and Sagada (tourist towns of Mt. 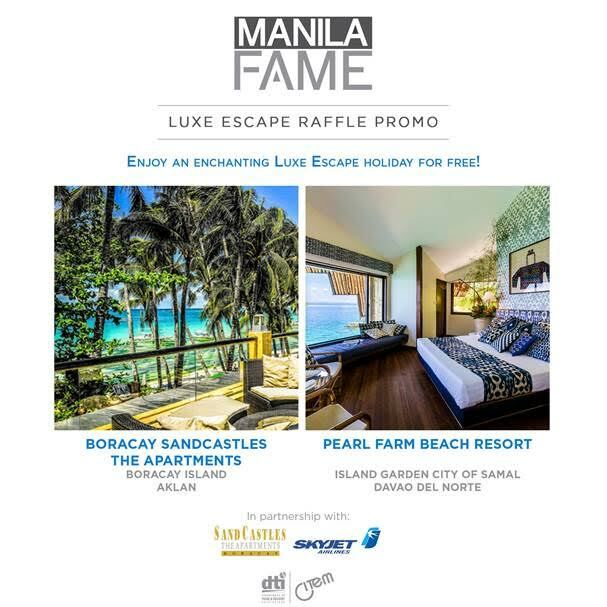 Province) and 7 rounds of mild acute panic attacks in the four corners of my cheap hotel room before I was able to convince myself to pursue this dream destination. Waking up early became so easy for a person like me who turns the morning to a snoring holiday during days-out-of-work where life starts at high noon and not on the usual 7am or 8am finger print disclosure to biometrics. The reason is, the emotion was mixing different elements that I can't contain prompting me to become insomniac. At 5:00 am, I woke up! That was unbelievable on my part that I was able to do it (to wake up early). It made me think that I can be an early bird during backpacking. 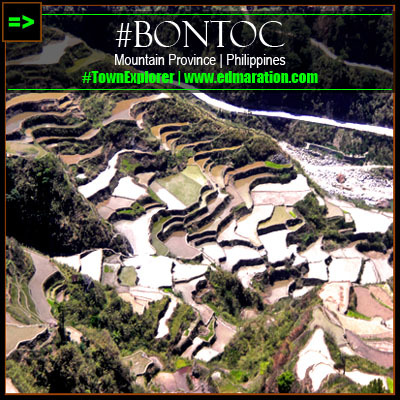 FAST FACTS: The capital town of Mountain Province, #Bontoc hosts majestic ancestral rice terraces, a prehistoric village, burial caves and the melting pot of culture in the province. 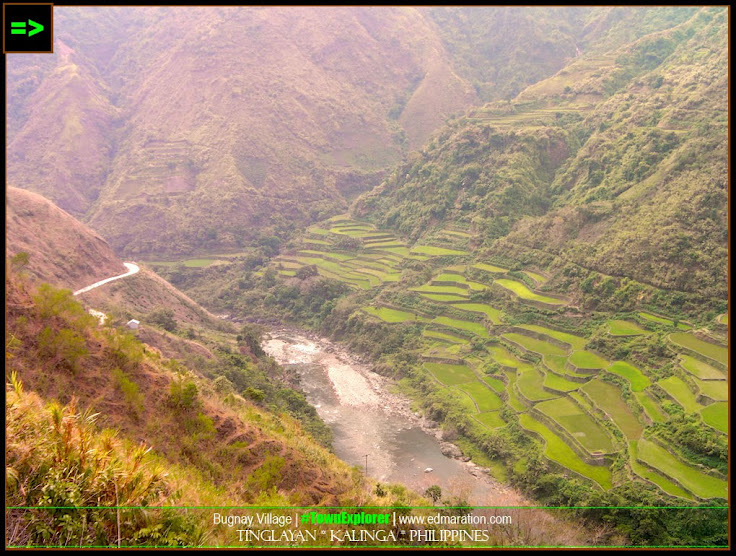 / Photo: Palali Rice Terraces @ Alab Oriente, Bontoc under the dawn was devoid of noisy vehicles making me feel I owned the street. 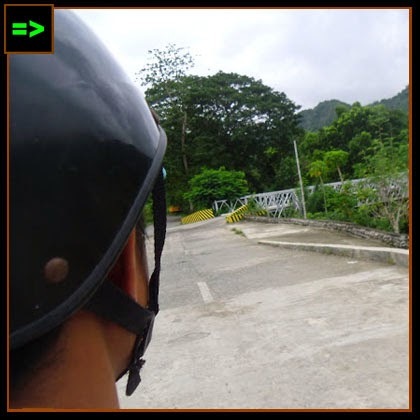 I walked along the street on my way to the area where mini-buses bound for Kalinga are parked. It was an unhealthy cardiovascular work out for a sleepless solo backpacker in the person of me. 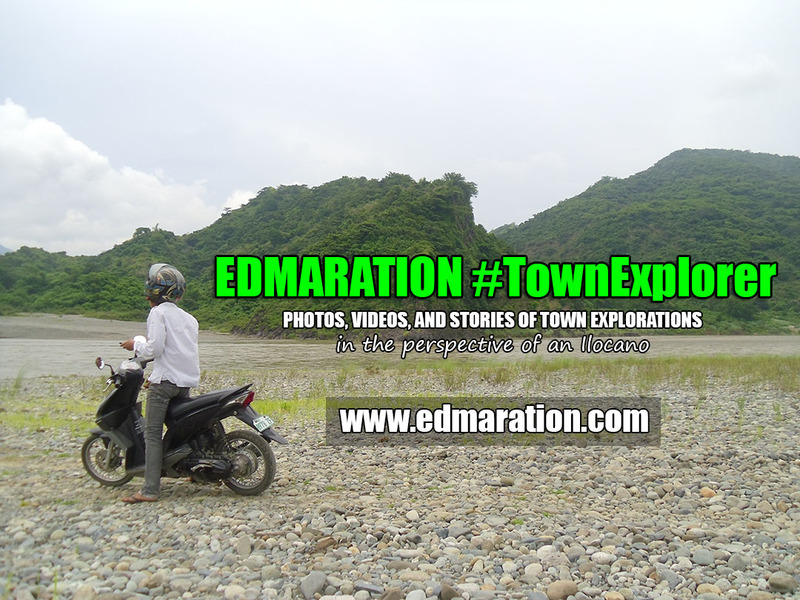 I saw several people who are early birds at the town market wearing bonnets and thick jackets probably ukay-ukay. 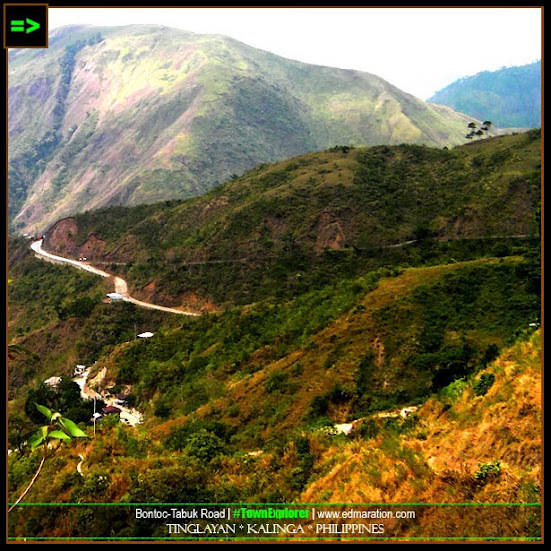 FAST FACTS: Kalinga is believed to be the home of the last headhunters of the Cordilleras. 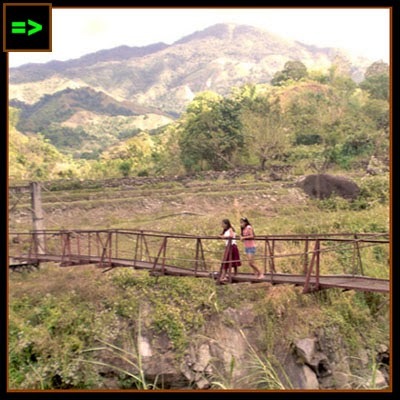 Photo: Bugnay Village @ Tinglayan, Kalinga Province. I took the front seat just behind the driver. 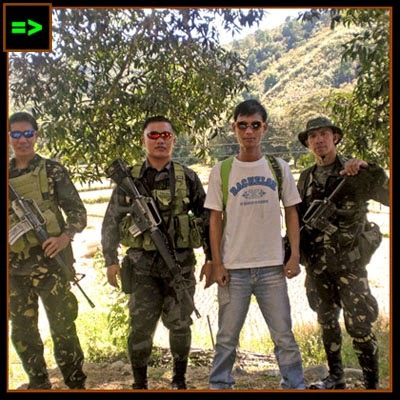 This will be my first time to enter the land of the last headhunters, for real. Several minutes after, half of the bus was filled while two white American backpackers occupied the back seats. 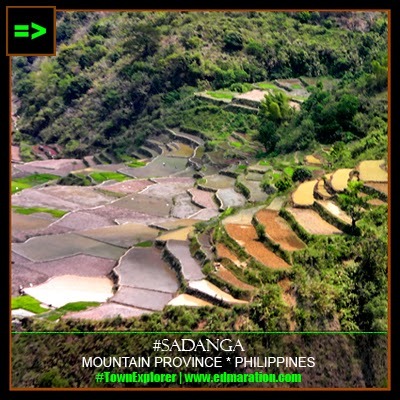 FAST FACTS: #Sadanga is located north of the capital town of #Bontoc and south of the Kalinga town of #Tinglayan. 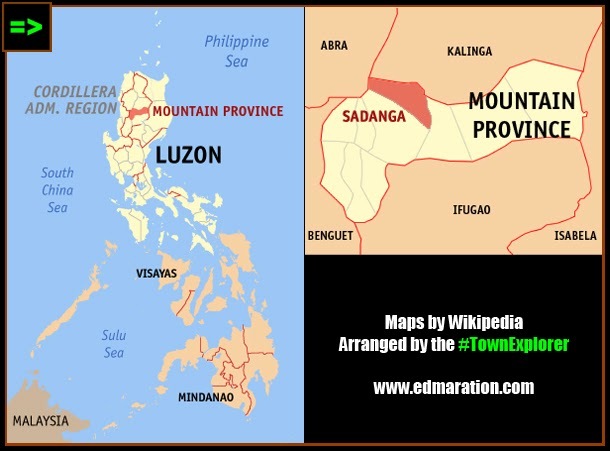 It is believed to be the town of the early elites of Mt. Province. 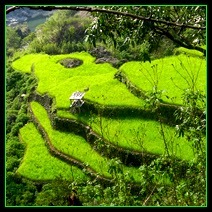 Photo: Bekigan Rice Terraces @ Sadanga, Mt. 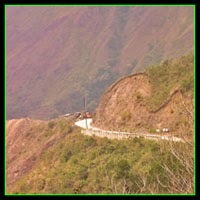 Province, the last town before Kalinga was a journey of both extremes - extremely beautiful vistas and extremely dangerous route. 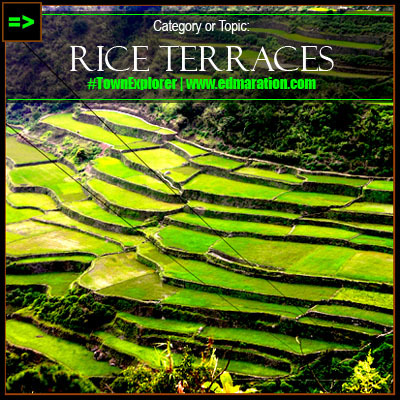 Click here to view the latest articles under the topic *Rice Terraces*. 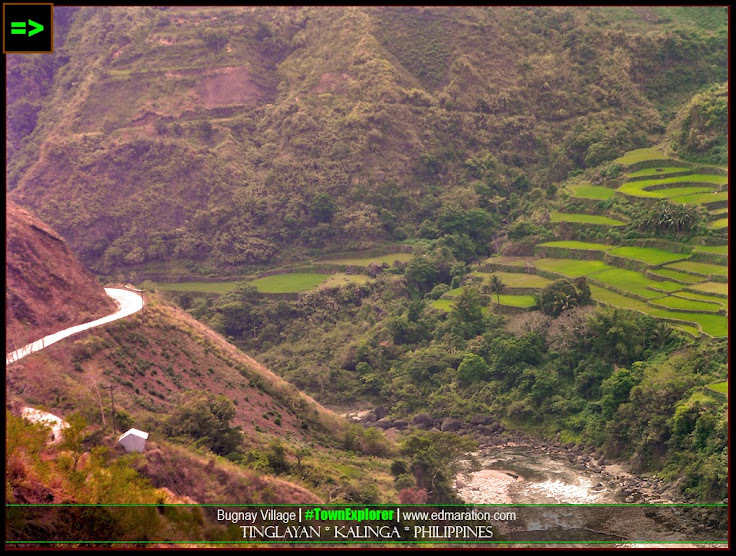 Photo: Bugnay Rice Terraces @ Tinglayan, Kalinga. 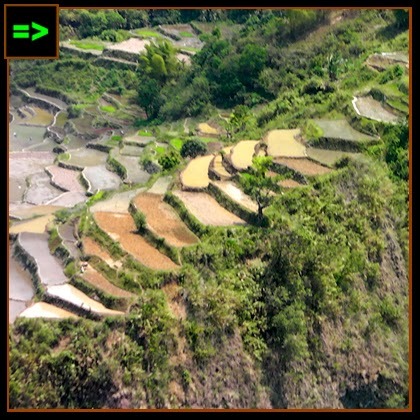 Some rice paddies have been concreted to become a road. Should I wish to snap a photo, it was just not easy to get a good angle. There are some parts of the route where the road bed is sinking. During this time, some bridges are under construction and vehicles have to pass one at a time with caution. 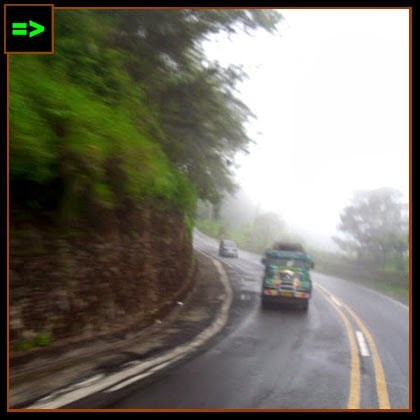 I remember a narrow part of this mischievous highway wherein our bus has to stop for several minutes to allow another bus to pass even though it was very far yet. 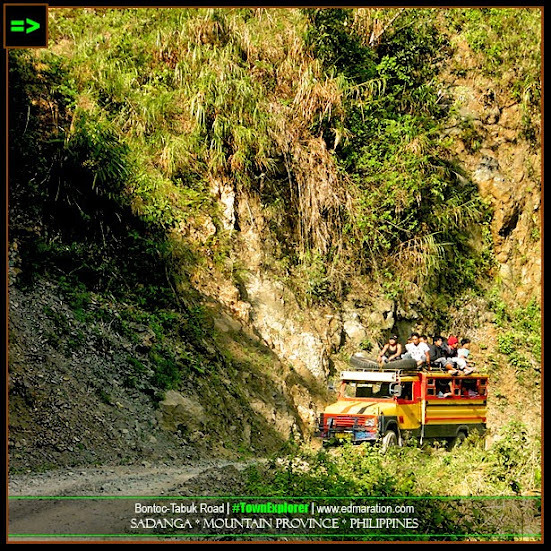 After successfully traversing out of Sadanga, the two white American backpackers at the back shouted under a controlled volume uttering words of amazement while seeing the beautiful view that welcomed us, first-timers, in Kalinga. We're now in Bugnay, Tinglayan, Kalinga! A Grand welcome in Kalinga, finally! My blunt brain due to being deprived of sleep was instantly reset to sight-seeing mode after it hibernated for a while seeing this wonderful view that temporarily locked my jaw. 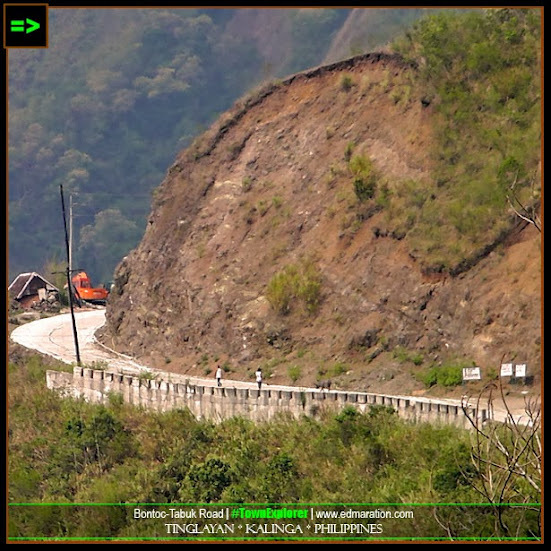 The first ever village I have seen in Kalinga is Bugnay. I alighted from the bus and finally stepped to a Kalinga soil for the very first time! 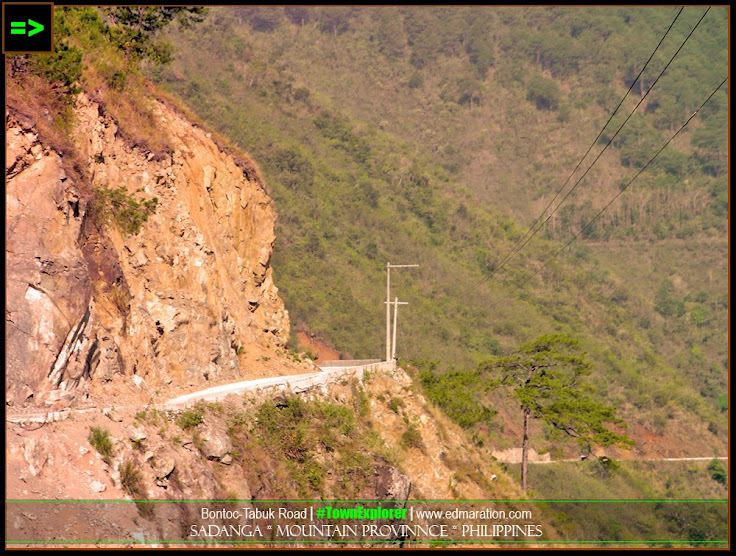 Disclaimer: The road as shown and described in this post is the condition on March 2013. Road construction is under way so the description here may be different from your experience after March 2013 since the landscape and condition of places constantly change by time. TEASER: "I came here under the scorching heat of the sun in the extended summer for June but reaching the place seems like it is already December..."
TEASER: "Entering the area is like you're in a hidden forest. It is enclosed with fences and a lot of trees planted. It is not an exposed place. It's just really in a secret place." TEASER: "I didn’t ask about the price at first because I was expecting it to have the usual price. However, we have opened the drinks and there’s no way of turning back."